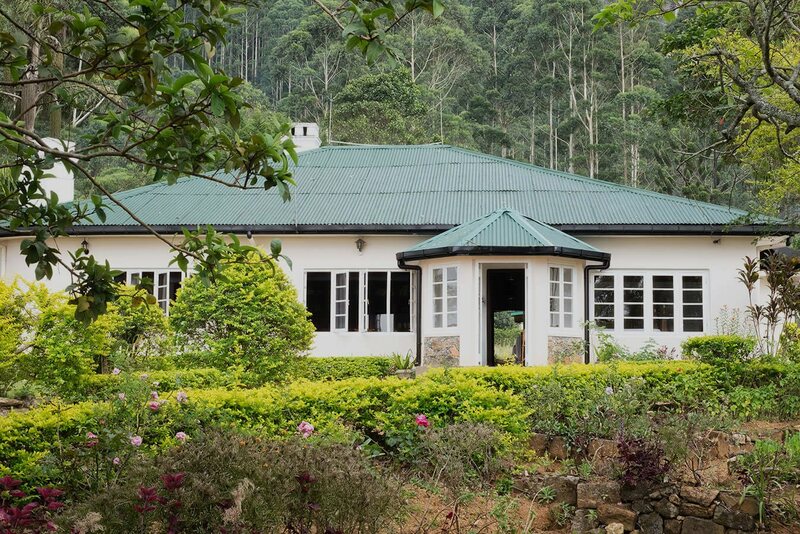 An original mid 19th century planter’s bungalow situated high in the hills midst the lush tea fields of Labookellie, Nuwara Eliya. Perched on a natural ridge at elevation 5500ft Highgrove offers sweeping lawns, English gardens and magnificent views of tea fields, valleys, distant waterfalls, temples and the picturesque Kothmale reservoir, making it one of the most breathtakingly beautiful tea estate bungalows in Sri Lanka. 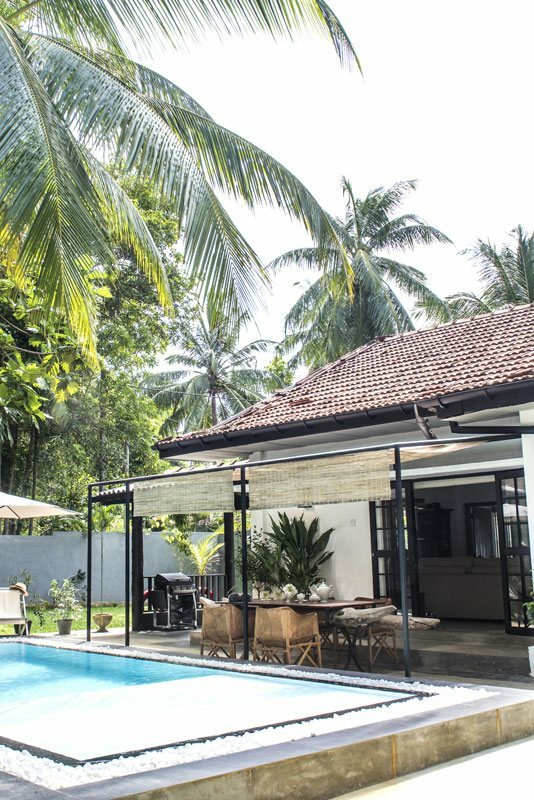 Prince Charles visited in 2013 on a royal visit to Sri Lanka and it was restored in 2018 back to its original form and featuring 3 luxury bedroom suites, 3 open fireplaces, floor carpets, sitting areas, wooden writing desks and period furniture. One can also enjoy a selection of music, a library of old books, prints and maps of the nearby Estates. The homestead sits under the shadows of ‘Kondagala’ rock offering crystal clear spring mountain water; fresh clean air, lovely days and cooler nights kept warm by fireplaces, hot tubs, and cozy beds with soft quilts. Enjoy hot breakfast, home-cooked meals and daily afternoon tea & cakes with fresh strawberries and fruits from our own organic garden. The bungalow comes with its own manager, chef, butler and garden teams to ensure your comfort and enjoyment during your stay with us. The stately Master Suite offers a canopied king bed, luxury linens, wooden dressing table and desk, television, fireplace and private en-suite bathroom with hot tub, shower and luxury amenities. 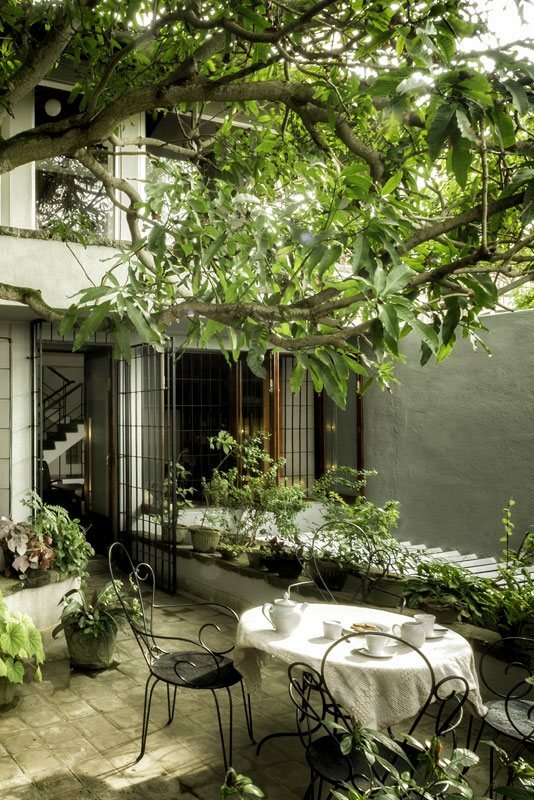 The Suite offers pristine Mountain views across surrounding tea fields. The regal Queen Bedroom Suite is furnished with white linens, a writing desk and fireplace. The en-suite bathroom features a shower with amenities and the bedroom enjoys views to the organic gardens and Kondagala rock. 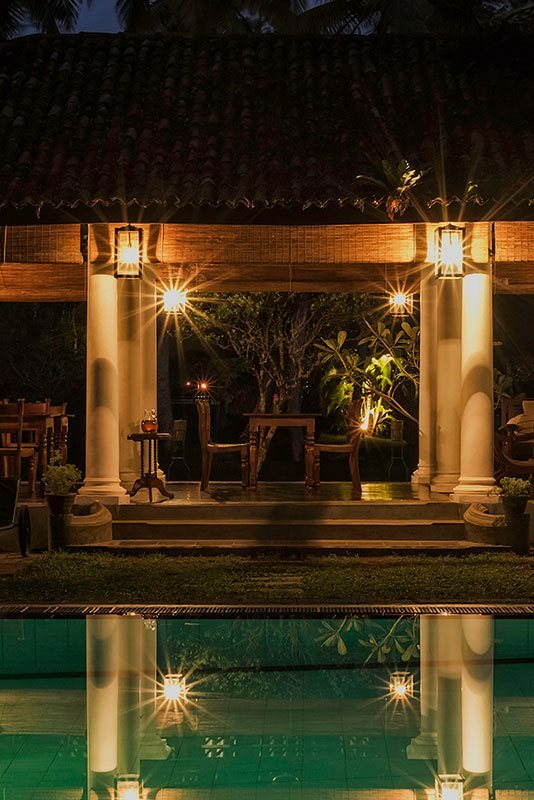 The Garden Suite is a gracefully furnished bedroom with queen beddings, en-suite bathroom with shower and sunlit morning views across neighboring tea estates, flowerbeds of the front lawn and the distant Kothmale reservoir. Your day at Highgrove begins with a friendly ‘Bed Tea’ service at your requested time and is followed later in the morning with a full English or Sri Lanka breakfast served in the dining room or at your own garden setting in the lawns. For lunch you might enjoy fabulously aromatic Sri Lankan rice and curry or something more modest from our mini a la carte menu. Your dinner menus will be discussed daily and our team will be happy to ensure your tastes and any special dietary requirements are met. A priority for us at Highgrove is the use of fresh, home grown vegetable, herbs and teas from the surrounding estates. Parsley, sage, rosemary and thyme are a few of the flavors and tastes our Chef will incorporate into your menus. Later in the day remember to join for afternoon tea and then claim your favorite spot by the fire with a good book and a Gin & Tonic as the afternoon mist rolls in over the mountains. In 1824 a tea plant was smuggled to Ceylon by the British from China and was planted in the Royal Botanical Gardens in Peradeniya. It was years later after further experimentation and more notably the great coffee blight which ruined the industry and paved the way forward to the introduction of tea in Ceylon. It was a young British planter, James Taylor, who marked the birth of the tea industry in Ceylon by developing a tea plantation near Kandy in 1867. The original tea plantation was just 19 acres and with a fully equipped tea factory made the first sale of Sri Lankan tea in 1873, the first shipment of Ceylon tea, a consignment of some 23 lb (10kg), arrived in London. Tea production in Ceylon increased dramatically in the 1880s and by 1888 the area under cultivation exceeded that of coffee, growing to nearly 400,000 acres in 1899. 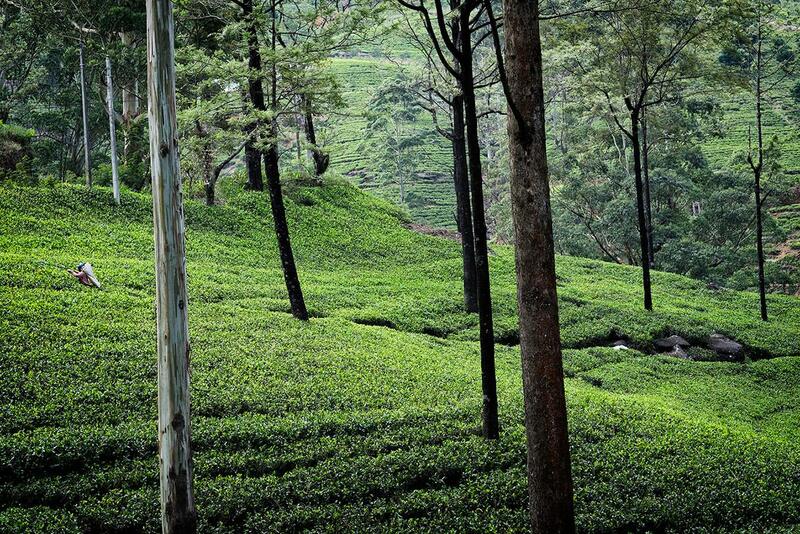 By the late 1880s, almost all the coffee plantations in Ceylon had been converted to tea. By the 1960s, Sri Lanka’s total tea production and exports exceeded 200,000 metric tons and in 1965 Sri Lanka became the world’s largest tea exporter for the first time. features valleys, forested hills, fir lined fairways & bunkers and is certainly of the most naturally scenic in the world. 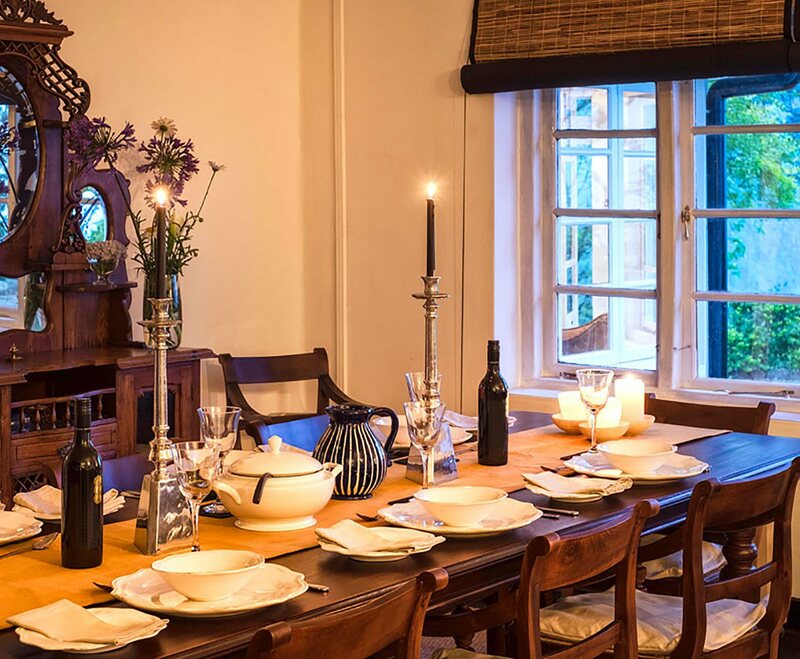 Activities that can be arranged by Highgrove include a Tailored Tea Billy Walk, Scenic Walks & Hikes, Croquet & Boules and a Library of Books and Music. Nuwara Eliya, fondly known as “Little England”, was founded by Sir Samuel Baker around 1825 and soon became a retreat for the British seeking to escape from the heat of the plains. The town attracts visitors from all over the world for its picturesque landscape and cool climate. 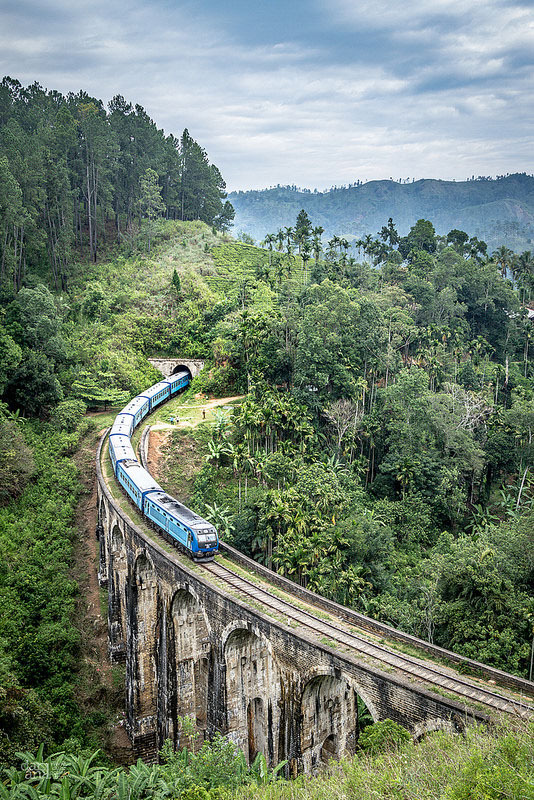 Both road and rail approaches to Nuwara Eliya are spectacularly beautiful and well worth the trip. 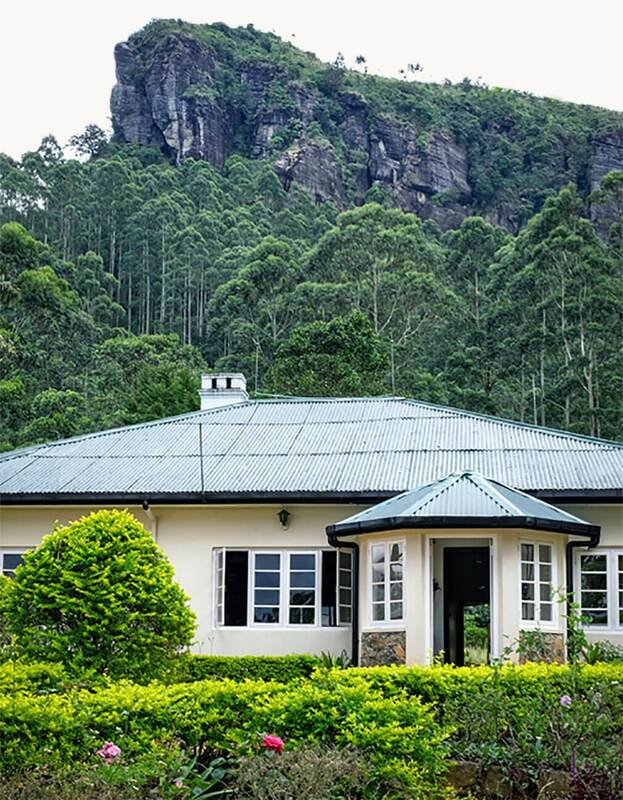 Highgrove Estate is 13km (29 minutes drive) from Nuwara Eliya back along the Kandy PBC Highway and the Closest Railway station is located at the famous hill station of Nanu Oya. 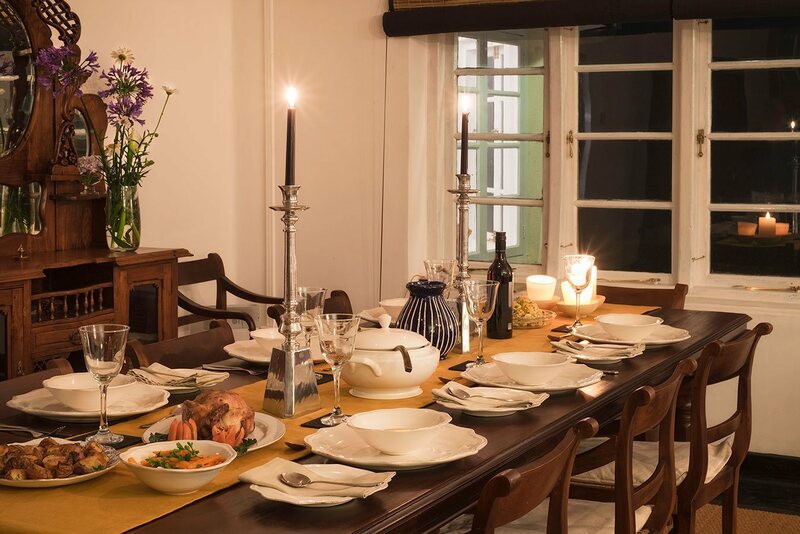 Outings that can be arranged from Highgrove would include Adam’s Peak, Kandy City and The Peradeniya Gardens, Horton Plains, Hakgala Botanical Gardens and World’s End.